These low-sugar and sugar-free desserts can help make life a little sweeter for people with diabetes. Offer these individual tarts as a reduced-sugar alternative to pumpkin pie at your next holiday meal. The crust is made with crushed sugar-free oatmeal cookies and the filling is a low-sugar version of pumpkin pie filling with a splash of orange juice. This easy 4-ingredient dessert features frozen whipped topping and sugar-free chocolate syrup and has only 11 grams of carbohydrate per serving. These cookies will remind you of the peanut butter cookies your mom used to make you when you were a kid, but these have only 5 grams of carbohydrate per cookie. Stir peanut butter into low-sugar ice cream and spread between gingersnaps for an easy, low-sugar frozen treat. Wrap individually in plastic wrap and store in an airtight container in the freezer. 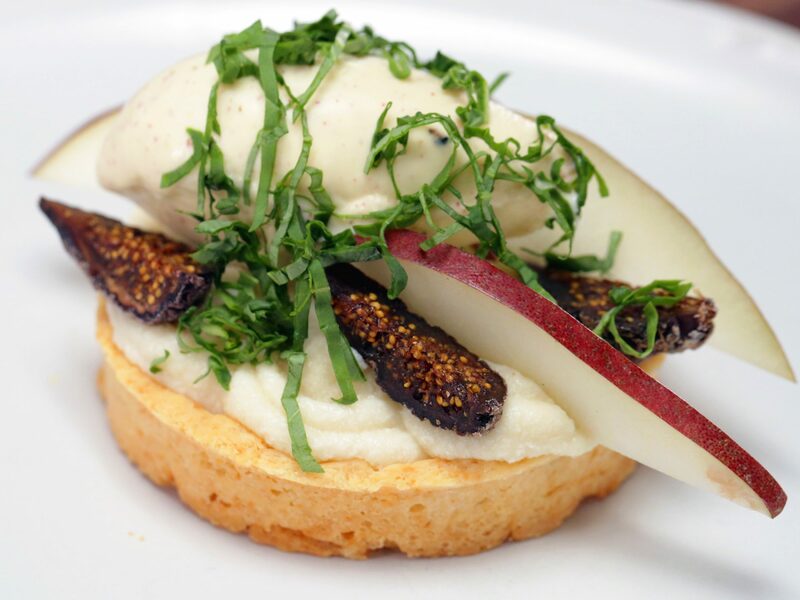 Then you'll have a single-serving snack ready for an easy indulgence. Once slice of this classic holiday pie from Cooking Light has 35 grams of carbohydrate–not totally low-carb, but certainly much less sugar than a slice of traditional pumpkin pie. If you choose to make this recipe even lower in sugar, replace the brown sugar with 3/4 cup of Splenda, and top with plain whipped cream instead of sweetened. Use regular sugar in the brownie batter–but only 3/4 cup–and you get a tender instead of rubbery texture. 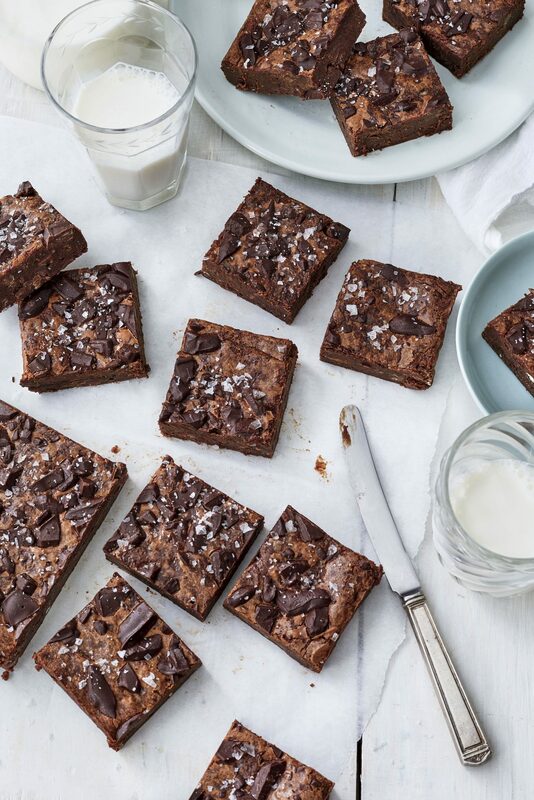 Then swirl in cream cheese that's sweetened with a sugar substitute, and you get a decadent brownie that has only 14 grams of carbohydrate per serving. For more tips on making these brownies, watch the video. Peanut butter and jelly break aren't just for the kids' sandwiches–here they're featured in tender, sweet cookies filled with low-sugar strawberry spread. The red strawberry spread is festive for the holidays, but you can vary the recipe by using any flavor of low-sugar fruit spread. What's not to love about a 4-ingredient frozen dessert? If you're serving it to company, you can make it up to a week ahead. And you can transform this one recipe into several different desserts by varying the flavors of the ice cream and the cookies. For more tips on making this easy dessert, watch the video. Rich chocolate cake and sweet cherries are the stars of this luscious make-ahead holiday dessert. If you don't have a trifle bowl, you can use a straight-sided glass bowl. For more trifle tips, watch the video. Savor the flavor of Christmas with just one bite into a chocolate and peppermint candy cookie. Using sugar substitute and sugar-free peppermints helps reduce the carb content of the cookies, but they still taste like Christmas. Layer sugar-free chocolate and white chocolate puddings in a graham cracker crust for a double dose of chocolate delight. This recipe makes two pies, so you can serve one now and freeze the other one for later. Add raspberry sweetness to the coffee-flavored chocolate cake by brushing the cake layers with melted raspberry spread after they're baked. Transform plain whipped topping mix into a fluffy chocolate cake frosting by stirring in sugar-free cocoa mix. This impressive cake is worthy of special occasions. The only sugar in these cookies is the natural sugar in the bananas and raisins. Not only do the cookies taste great, they are a good source of heart-healthy fiber from the oats, raisins, and walnuts. In addition to enjoying them as a dessert, they also make a great choice for a breakfast on the run. Who knew you could turn no-sugar-added ice cream sandwiches into such a decadent dessert? The trick is changing plain frozen whipped topping into a mocha treat by stirring in coffee and melted sugar-free chocolate, then spooning it onto the ice cream sandwiches. For more tips on making this ice cream sandwich dessert watch this video. Start with a box of sugar-free chocolate cake mix to make these tasty almond-topped cookies. With only 3.6 grams of carbohydrate per cookie, you can treat yourself to two or three along with a cup of tea or coffee on a cold winter afternoon. The antioxidants in red grapes and red grape juice may offer significant protection against certain types of cancer, heart disease, and rheumatoid arthritis, so why not enjoy your grape juice in a refreshing frozen dessert? This treat contains no sugar other than the natural sugar of the fruit juice. This company-worthy frozen dessert is sure to impress. Make a crust with sugar-free sandwich cookies, combine no-added-sugar chocolate ice cream and whipped topping, spoon into a springform pan, and freeze. The toasted nuts are optional, but add a wonderful crunch to the chocolate pie. Dried figs and coconut provide a good bit of the sweetness in these good-for-you treats. 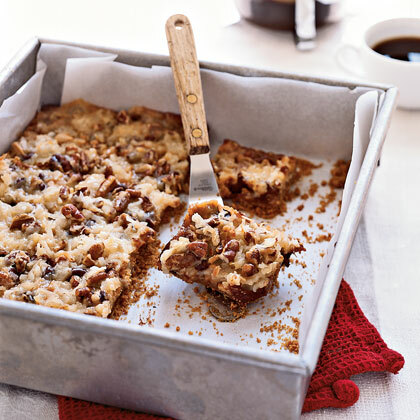 And since these bar cookies don't have a delicate crust, they're a great choice when you need a portable dessert. With only 5.5 grams of carbohydrate, these chocolate-peanut butter balls are a good source of heart-healthy protein and are great for snacks or when you just need a small bite of something chocolate. The healthy crunch comes from Grape Nuts cereal and crunchy peanut butter. For an easy holiday dessert, make a short-cut sugar-free mousse with only 3 ingredients. 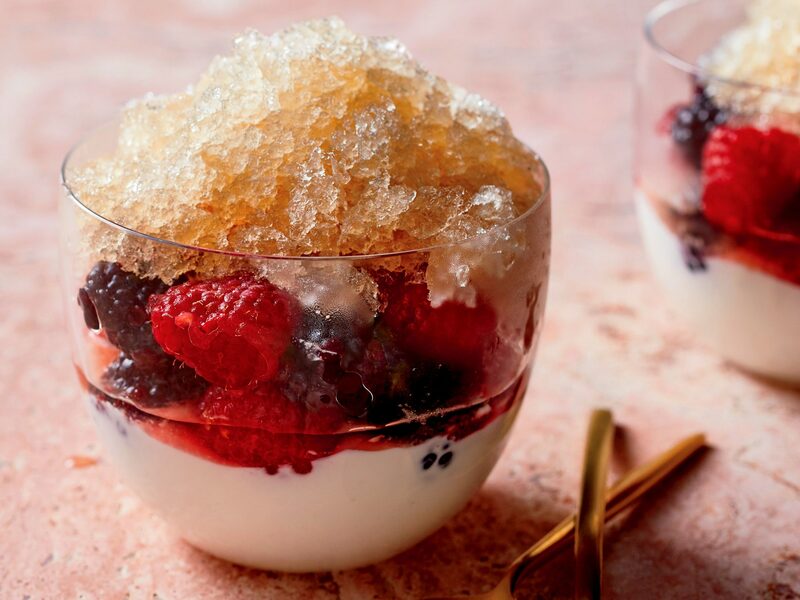 To dress it up, serve in stemmed compote glasses and garnish with fresh berries and mint springs.